What Colours Are Ombre Lace Front Wigs? 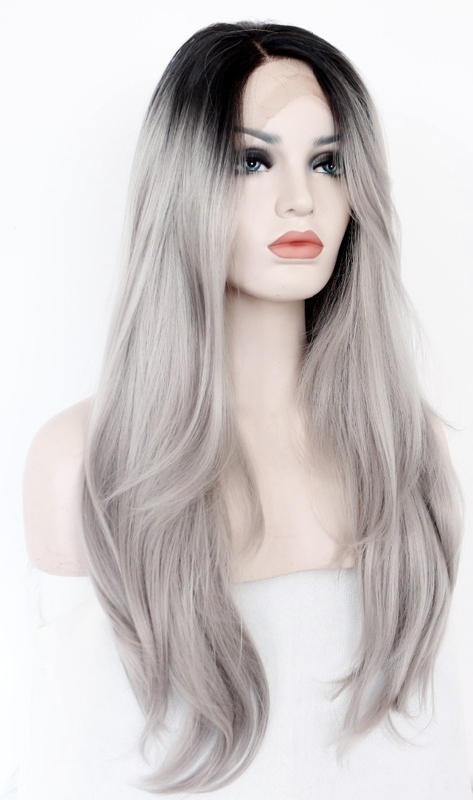 "I can only find brown to blonde ombre lace front wigs, are there grey ombre lace wigs?" The shortest and sweetest answer is yes. 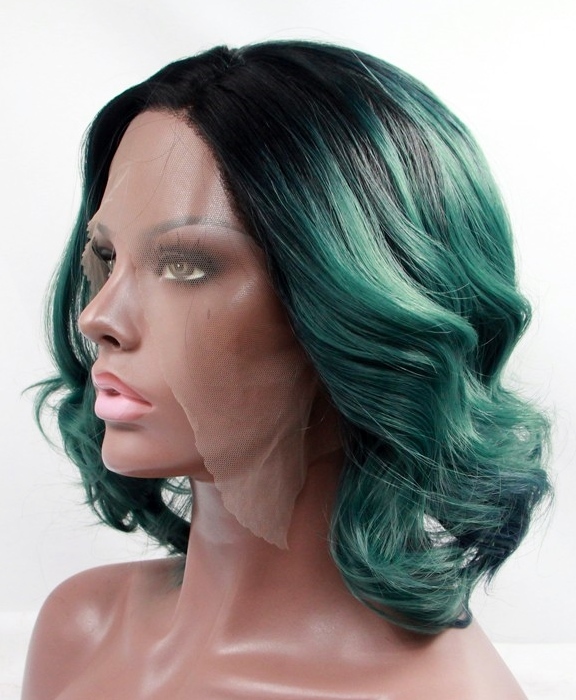 Ombre lace front wigs are available in a variety of colours. Ombre hair colour has been around for some time and shows no sign of decreasing in popularity. In fact, the colours available for ombre lace wigs seem to show that its popularity is only increasing. If you take a look at our guides about colour ideas for lace wigs, you'll see that the green lace wig section, blue lace wig section, red wig section and grey lace wig section all contain ombre versions of lace wigs. "Are ombre lace front wigs available in human hair or only synthetic hair?" Ombre lace wigs are available as human hair lace wigs and in synthetic hair lace wigs. What you'll notice on your search for the perfect ombre lace wig is that the vast majority of what we'll term here as "fancy" colours (like you would say "fancy goods") come as synthetic hair lace wigs. It's easy enough to understand that people like fanciful colours for all sorts of reasons and that every red carpet event may mean your favourite singer or rapper has yet again changed the colour of their hair to something new, intriguing and yes... fanciful. Colourful lace wigs are fashion statements but they're also fun and for retailers, fun is usually translated as affordable and synthetic lace wigs are an affordable option for lace wigs. "Should I buy a synthetic ombre lace front wig or a human hair ombre lace front wig?" Sometimes it's better to choose a synthetic lace wig if you're going for bright versions of colours such as electric blue or neon green. Firstly synthetic wigs are more affordable but also the colour won't fade in the way that it will with human hair lace front wigs (a little point to note is that all dyed hair fades even if the dye is classified as permanent - if dye didn't fade then the only time you'd need to re-colour your hair would be when your roots showed up). If your plumb set on a human hair ombre lace wig, then it's important to decide whether you choose a remy or non-remy lace wig. When hair is dyed, the chemicals in the dye that change the colour of the hair, penetrate the cuticle and if the cuticles are facing different directions or worse still, if some or all of the hair doesn't have cuticles then say hello to a world of dried out, frizzy, brittle and tangled hair... not nice. "How do I wash ombre lace wigs?" If you have a custom -made human hair ombre lace wig then you’ll need to deep condition with a conditioner specifically for coloured hair to help protect against colour fade. If you choose a synthetic hair ombre lace wig then you can wash your wig in a mild shampoo. "Do ombre lace front wigs only come with dark roots and lighter ends, or can you get them the other way round?" Out there in internet space, the most common forms of ombre lace wigs go from dark to light, but you can find ombre lace wigs that go from light to dark as well as those that have more than two colours. "Which skin tones suit grey ombre lace wigs?" If you have a darker complexion then any type of grey will suit you, but if you're aiming for a subtle look, avoid the whiter end of the grey spectrum and head for the slightly darker ash-coloured grey. If you're lighter in complexion then any type of grey will suit you but sometimes the whiter end of the grey spectrum can have the effect of washing out the colour of your complexion and if you want to avoid this, the slightly darker ash grey will balance your complexion better. As a general rule (completely arbitrary and not base in science or authority!) everyone should avoid the grey ombre lace wigs that have a hint of yellow; don't ask us why - we all had a chat about it and decided that they didn't quite look right but none of us could figure out exactly why; for further info, check out t the skin tone and hair colour guide..